The first year focuses on the foundation of classical ballet and contemporary dance technique. It also introduces a range of allied subjects, both practical and academic. In the second year, students continue to refine their technical strengths, develop performance skills and dance in regular performances. The classical programme consists of classical ballet technique, contemporary dance technique, pas de deux, classical variations and pointe. Separate male and female classes. 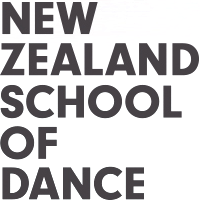 The contemporary programme consists of contemporary dance technique, classical ballet technique, contemporary repertoire, partnering, yoga, choreographic practice and improvisation. Students enrolled in the Certificate in Dance Performance also study academic subjects that complement their time in the studio: nutrition, dance history, career planning, anatomy and music studies. Performance opportunities are provided throughout the year, such as in the School’s studio performances, Choreographic Season (contemporary students only) and Graduation Season. Students must have completed the Certificate before enrolling in the Diploma in Dance Performance, one additional year of study.